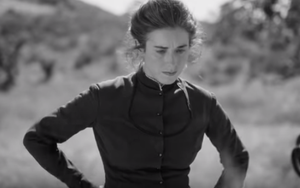 Mercedes-Benz of USA (MBUSA) and agency R/GA are honoring Bertha Benz, wife of Karl Benz, automobile inventor and Mercedes-Benz founder, with a short film the companies say is the first cinematic-quality production to be featured on Instagram TV. The black-and-white film "The First Driver" recounts what is considered the world's first road trip after Bertha Benz drove 60 miles across Germany in 1888 to showcase the first automobile built by her husband. Cut-down versions of the film — which has a piano score but no dialogue‚— will appear on Facebook, Twitter and YouTube, as well. "For our first foray into the [IGTV] platform, we wanted to create something special," says a company spokesperson. "We didn’t want to just recycle or create a montage of past vertical videos," adding that MBUSA is always trying to "stay at the forefront of social and deliver content to fans where and how they want it." The company will drive traffic to IGTV via the @mercedesbenzusa Instagram channel with paid and organic support.